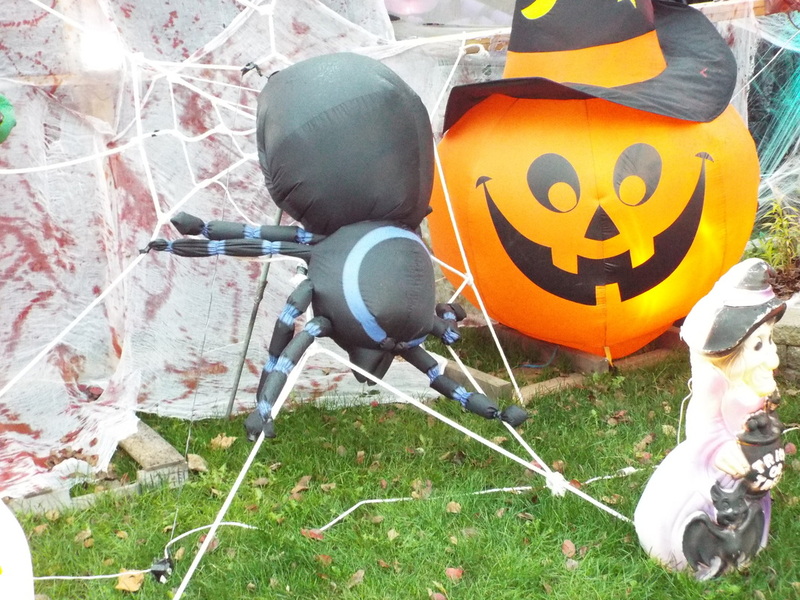 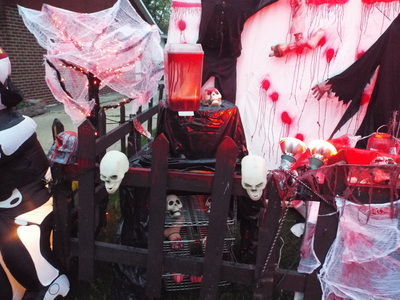 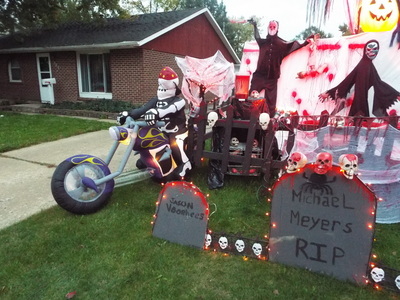 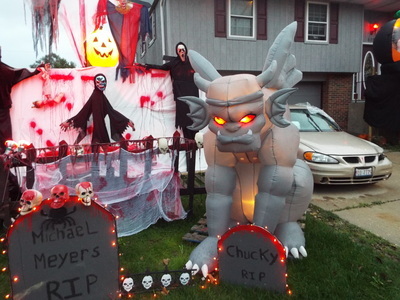 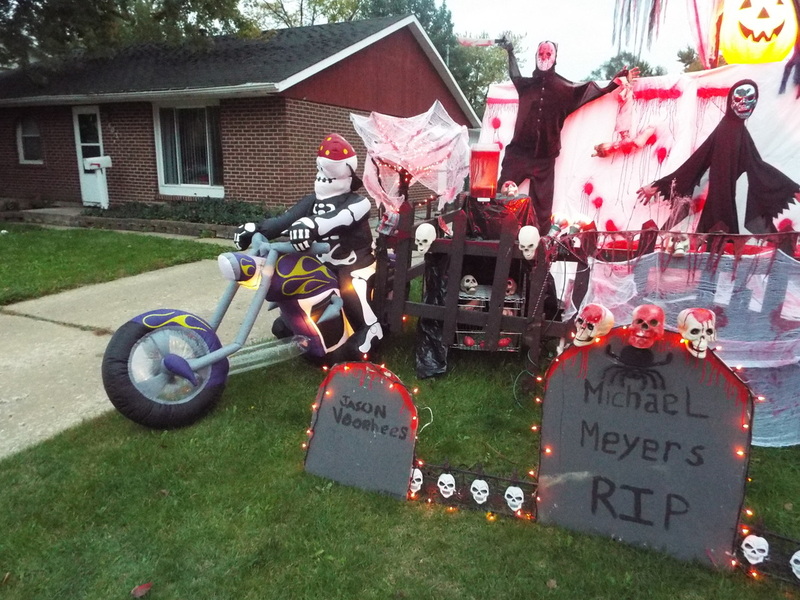 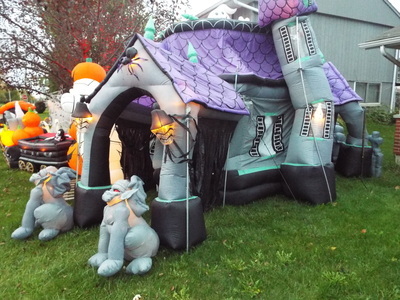 Halloween 2013, unlike a lot of Halloween displays that we see, is more whimsical than scary. 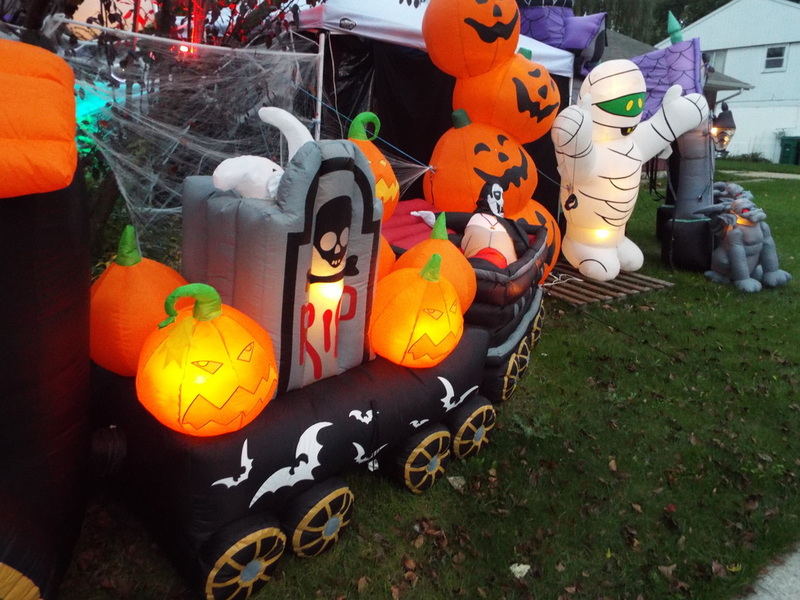 That's not to say it's not interesting - it has some creative items to see - but it is more suited for younger people, which is nice if you want to take the family out to see some Halloween displays, especially if you have younger kids. 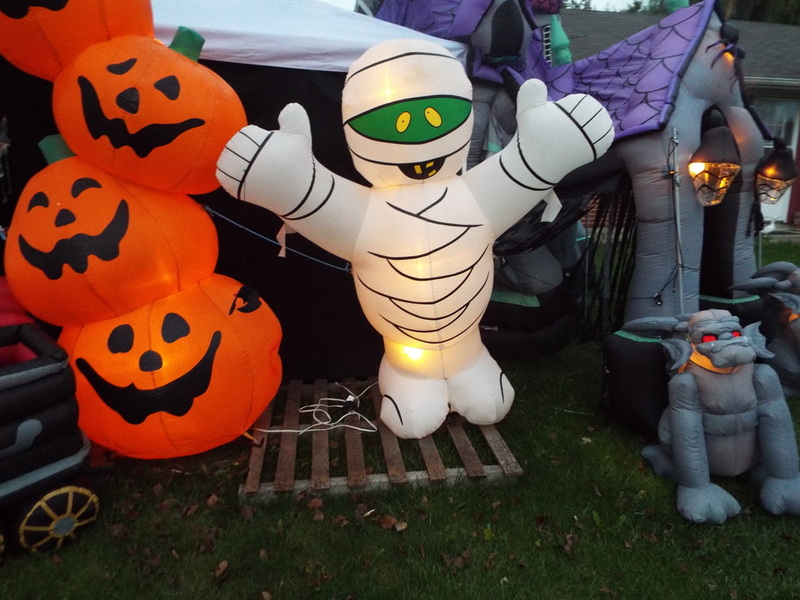 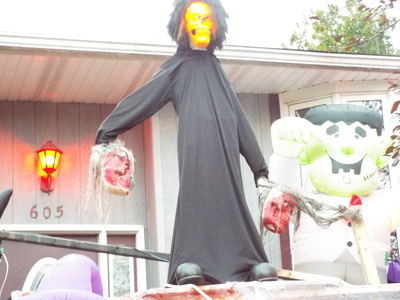 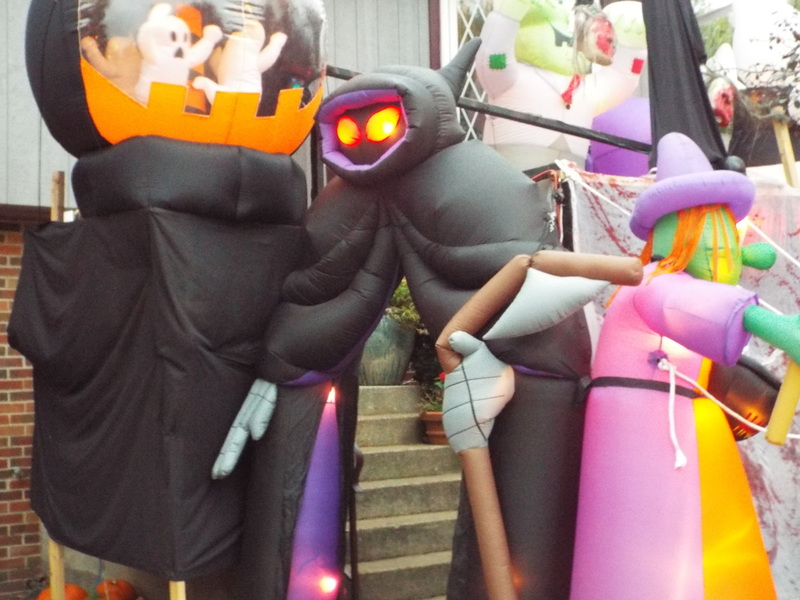 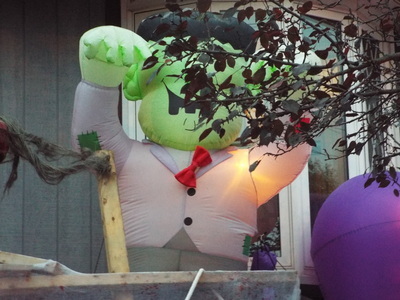 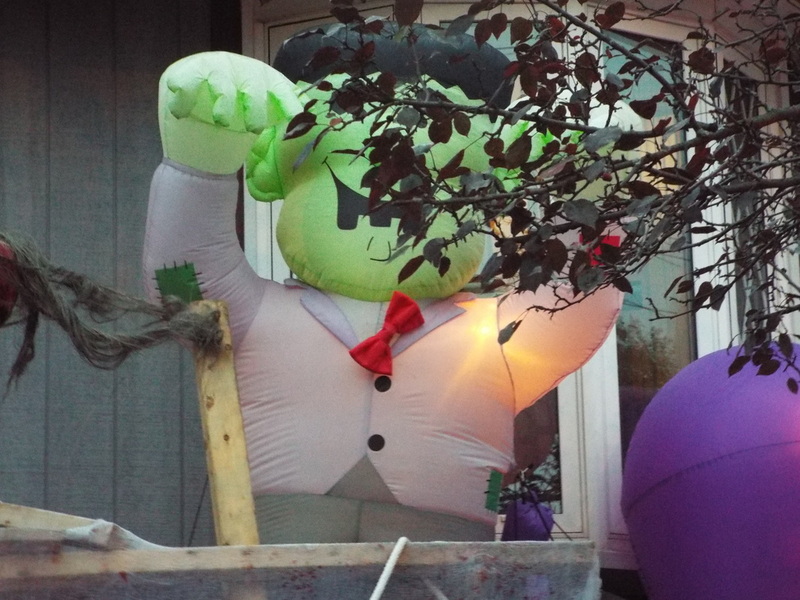 The majority of the display features huge blow up Halloween decorations, from pumpkins to a mummy, to Frankenstein's monster, to gargoyles - you name it. 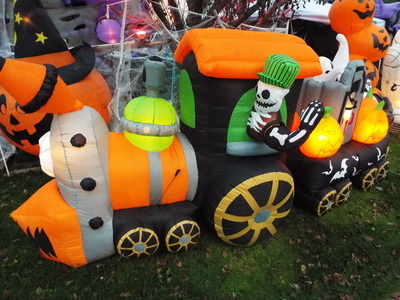 There is even a full size blow up castle that has a mini walkthough, and a giant train that is driven by a skeleton. 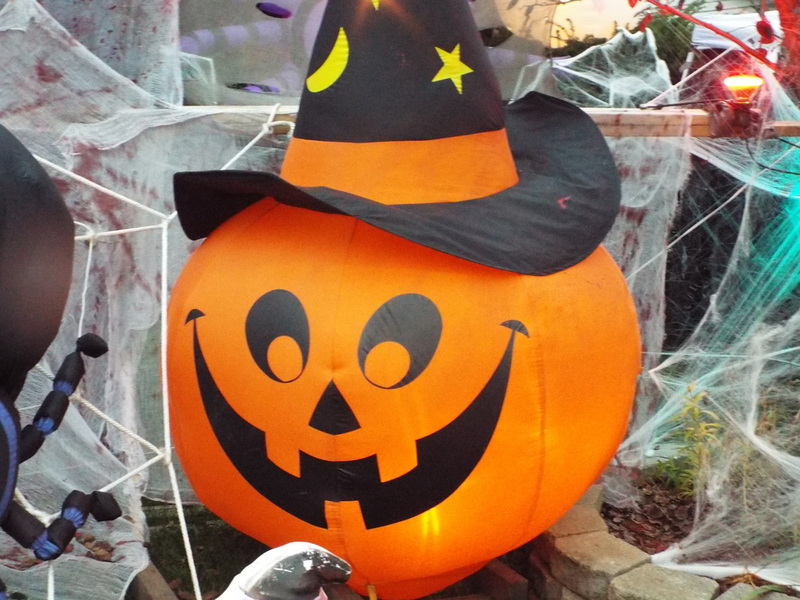 It reminds us of Halloween displays from years ago, with comical witches and funny characters. 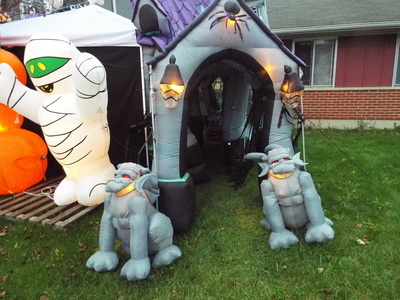 All of the blow up figures have lights in them as well, so they can be seen easily from the road, and probably look even better in the dark. 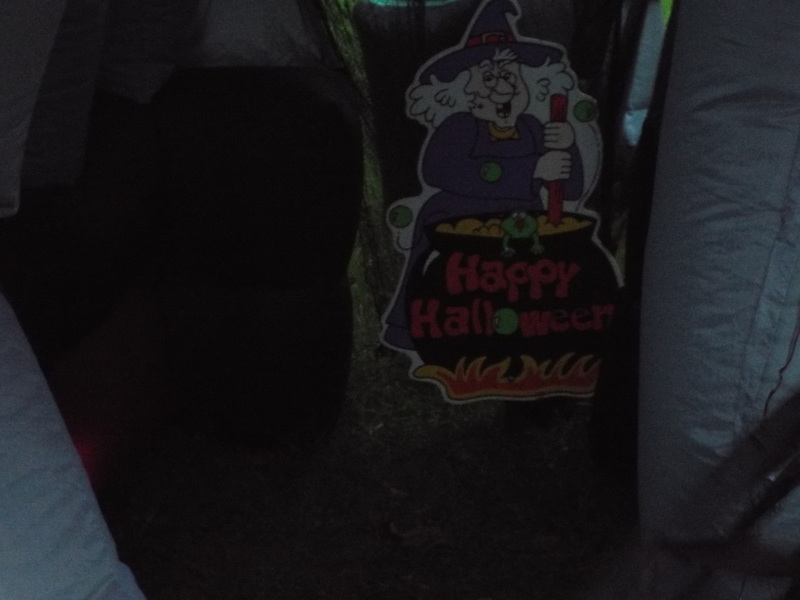 It was still light when we visited, so we didn't get the full effect, although we did get to hear the sounds of the theme from Halloween, which was a nice bonus. 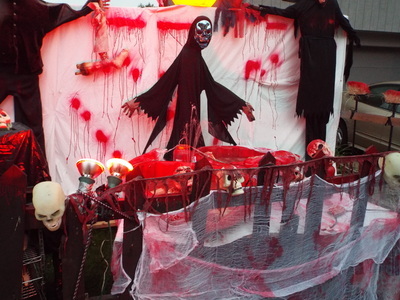 In addition to the blow up figures, the left hand portion of the display features some non-inflatable things, including a blood fountain, a blender full of blood, Ghostface from the Scream movies, and a number of other figures. It's the more "adult" portion of the display, and makes a nice contrast to the other, more whimsical side. 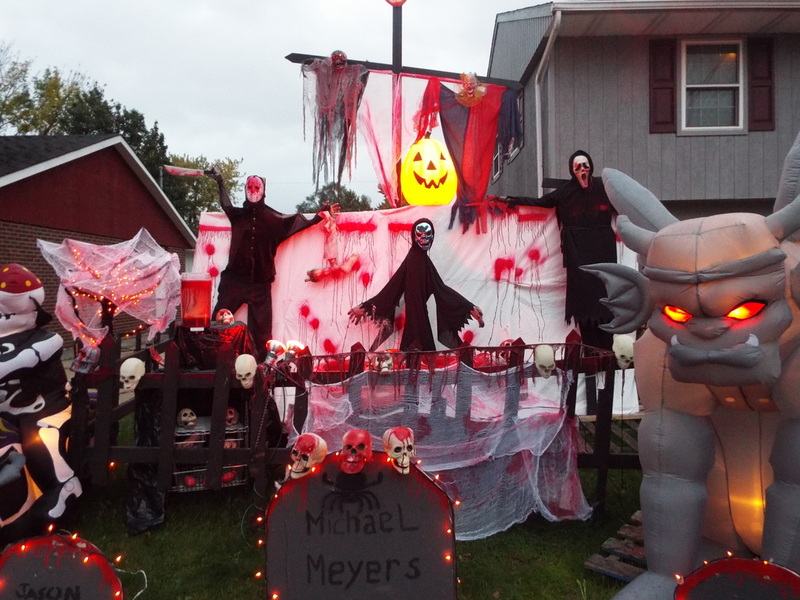 Overall, while there is not a lot to look at here, what is there is fun and entertaining enough, especially if you're looking for something that's not scary and that kids will get a kick out of. If you're in the area, feel free to check it out!